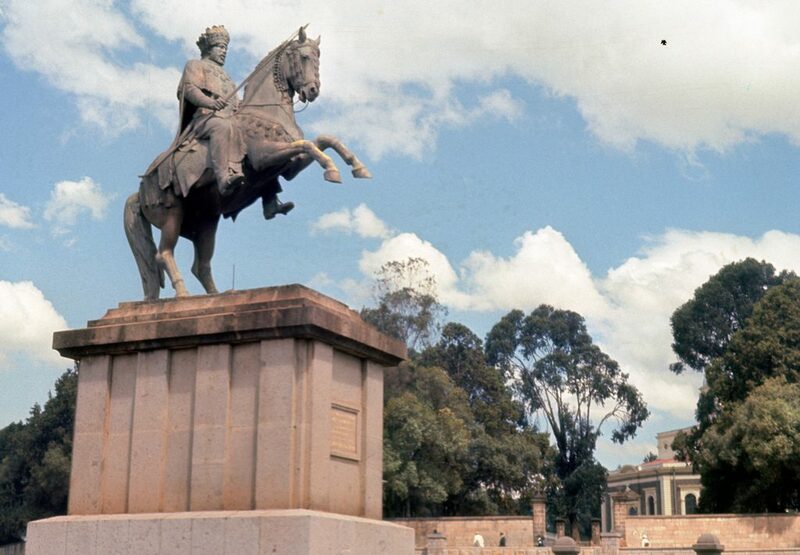 This museum houses the treasures and curios of Ethiopia’s rich history. 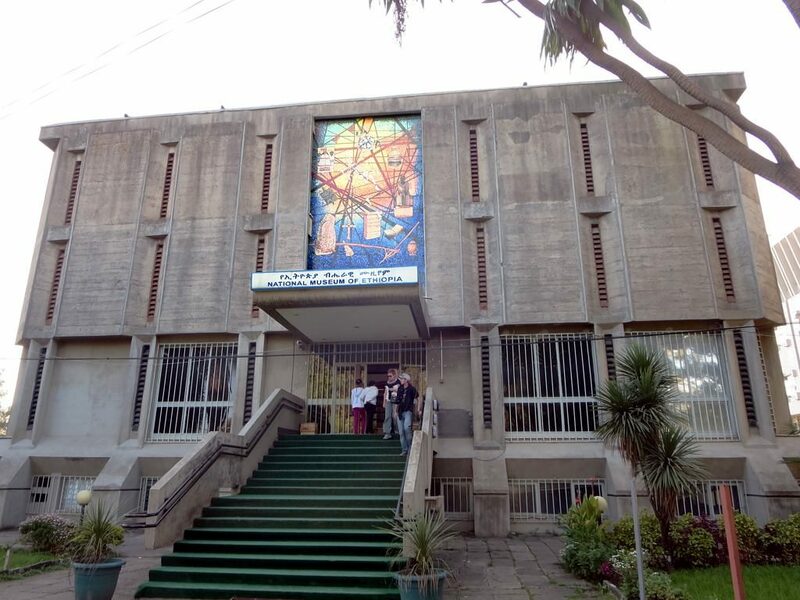 A great deal of the museum focuses on the remains of early hominids from the area, that would eventually become the modern human. It’s most important specimen is Lucy, the world-famous 3 million year old skeleton of our earliest ancestor, found right in Ethiopia. 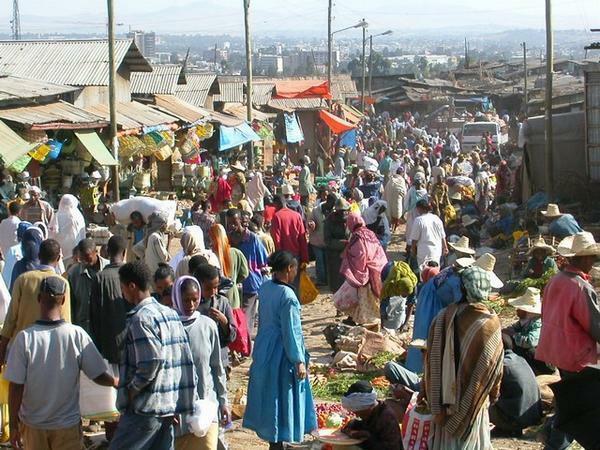 Addis Ababa’s largest outdoor market, the Merkato is the perfect place to visit when looking to experience all the rich culture the city has to offer. To see it all in one visit, a guide is definitely recommended! To escape the bustle of the city, Entoto Hill is a must on every itinerary. Situated on a mountain top, check out the vast Eucalyptus forest, Palace of Menelik and various sacred churches. 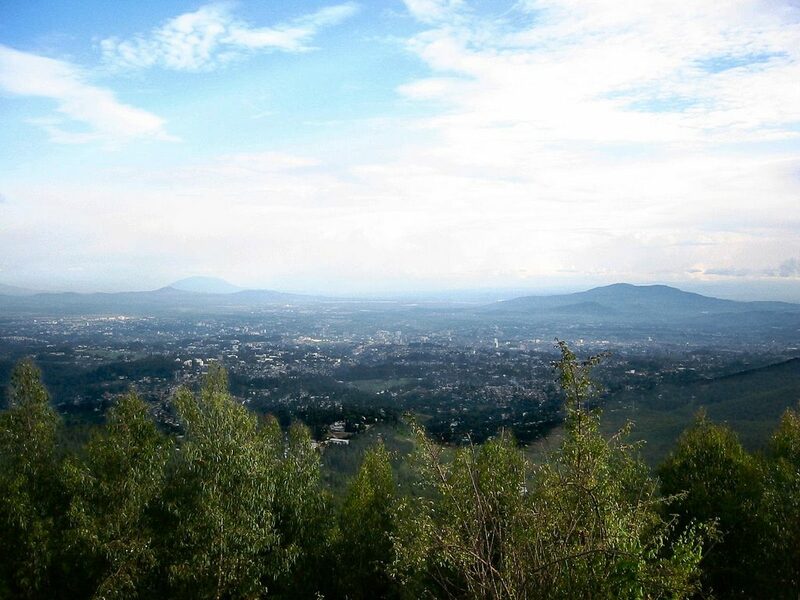 The top of the hill also features a breathtaking view of downtown Addis! Learn more about Entoto here. 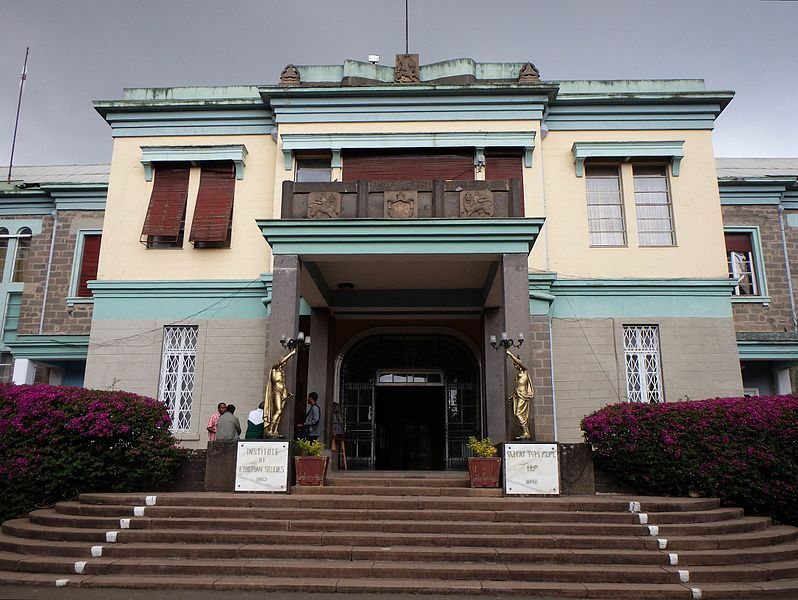 The Ethnological Museum is the perfect destination to learn more about the various ethnicities that make up the Ethiopian populace. Visitors will also be treated to vast amounts of artifacts from Ethiopia’s long history of Kings and religious figures. Museum info can be found here. 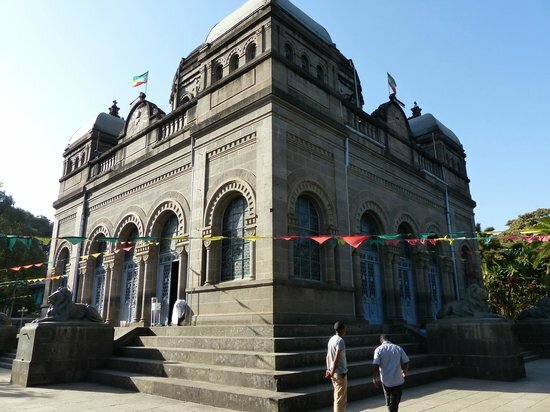 Menelik II is one of Ethiopia’s most revered leaders in Ethiopia’s history, and this mausoleum has been lovingly decorated and maintained because of it. Keep an eye out for the various tortoises that call this place home! Find out more about the Mausoleum here. Want to see the whole city but strapped for time? 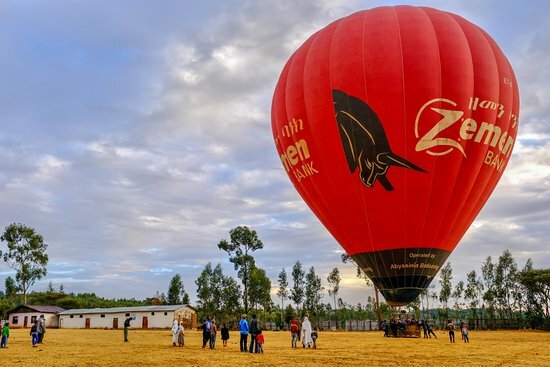 What better way to see it all then a birds-eye view from a hot air balloon! Add an extra layer of excitement to your trip with an incredible view of such a storied and ancient city. 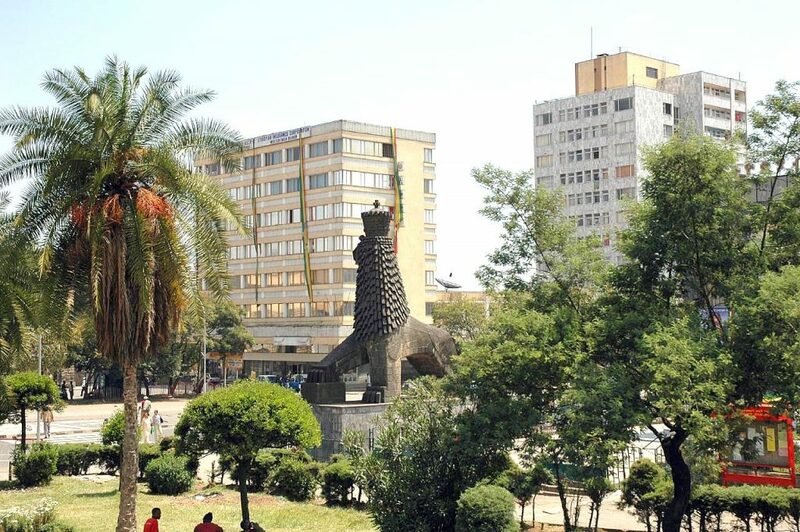 The most prominent square in the city, this area pays tribute to Ethiopia’s resistance to colonization, and their efforts to help neighboring countries gain their own independence. A great place to branch out from due to it’s central location in the city. Get directions to it here. There are so many landmarks and places of interest in the city, we would definitely recommend a walking tour with an experienced guide to experience the city like a local! There is a wealth of guiding services available depending on length of tour and area of the city you want to visit. Search for different tour options here.